Hi guys! 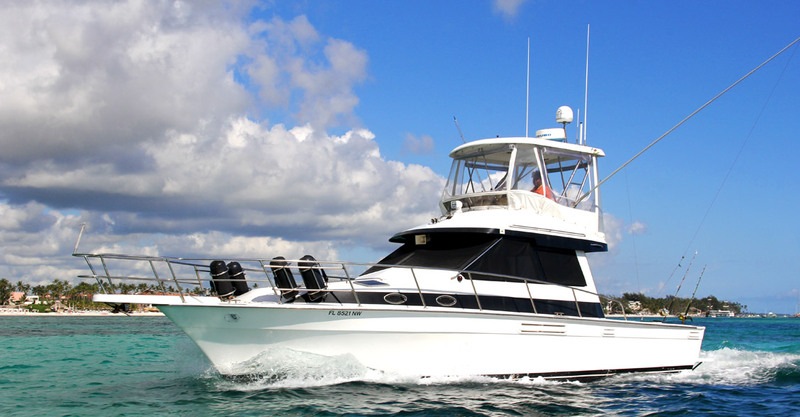 When is the best time for fishing in Punta Cana? 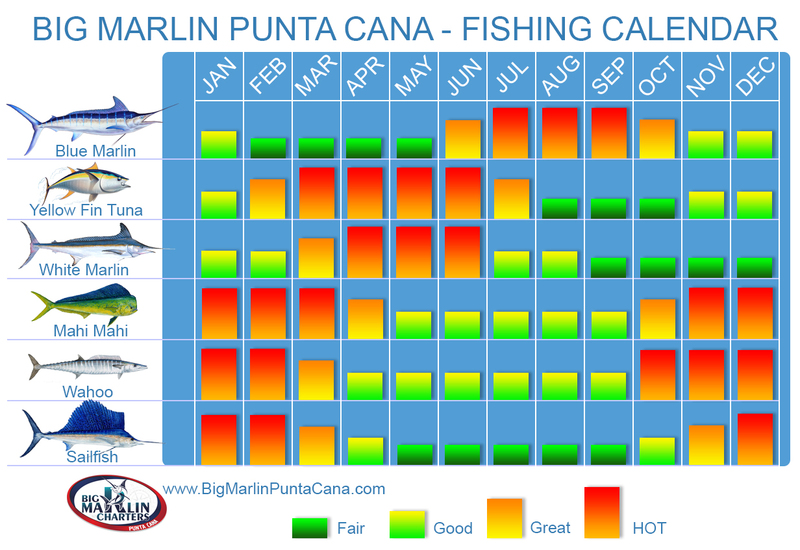 Which season is best for Blue Marlin or Mahi Mahi? These are good questions. Get HOT fishing times with Big Marlin Punta Cana. 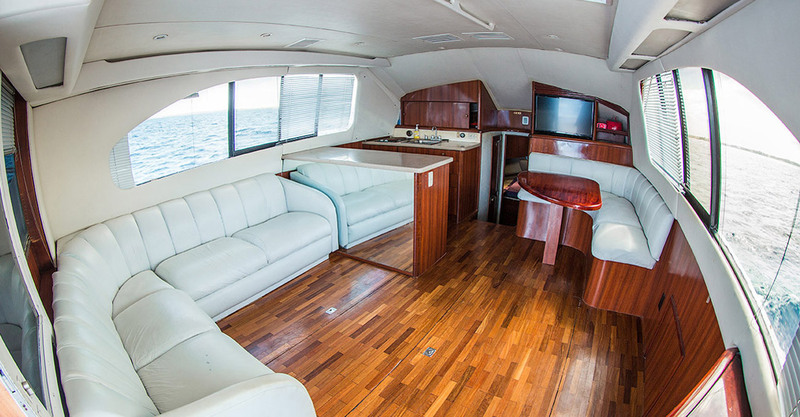 Plan your fishing trips based upon information on the month.Fishing Calendar instantly displays best fishing times for Dominican Republic the Atlantic Ocean directly.Tables provides personalized best times to catch fish. Catch a fish from the ocean depending of the of the seasons. 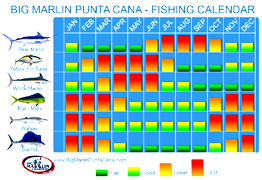 Monthly calendar for Caribbiean Big Game Fishing Charters Punta Cana. Check your fish today! 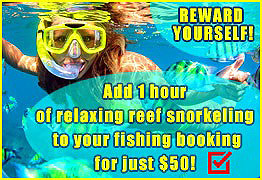 This fish loves tropical and moderate waters of the Atlantic Ocean. They rarely form pods and prefer to live alone. Females are four times bigger than males. Maximum body weight is 1,803 pound with length up to 16,4 feet. 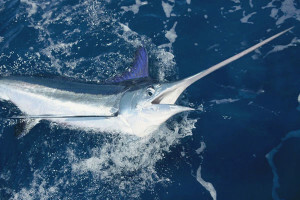 Blue marlin spends most of his life in open waters far from the shore. They can swim really fast reaching up to 62 mph. These fish go on long migrations, including repeated ones, between Caribbean islands and Venezuela and also between Virgin Islands and West Africa. 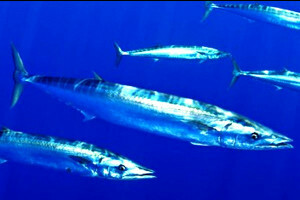 Marlin meat is delicious, it’s served as a delicacy in best restaurants. 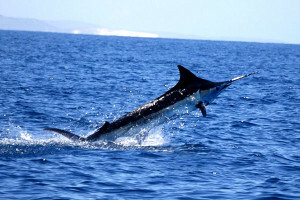 Most fishermen release Marlin fish after catching it and east of Dominican Republic, Punta Cana is not an exclusion. This fish is caught only by trolling. The best catches are from June to November. Much smaller than its relative. With body length of a little more than 9.8 feet its weight reaches 176 pounds. It inhabits all the Atlantic Ocean including Mexican Gulf, Caribbean Sea and even western part of Mediterranean Sea. Caused by fish’s aggression during being pulled out of the water white stripes appear on its body. White Marlin is caught by trolling on regular bait like surface lures or octopus. 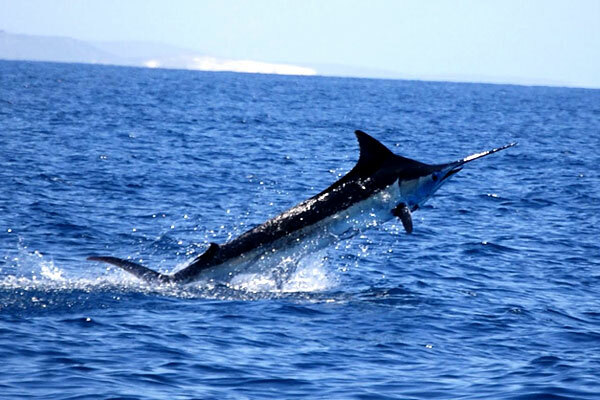 In Dominican Republic is well caught on Ballyhoo. This fish’s meat is very tasty. Best caught from March till July. The fastest fish on Earth. Inhabits tropical, subtropical and moderate waters of all oceans. Successfully caught by Dominican shores. A distinctive feature of Sailfish is a tall and long first dorsal fin which looks like a sail. Adult species can reach up to 6.6 feet in length and up to 220 pounds. 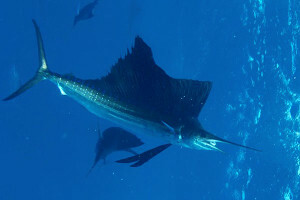 Sailfish is a very active predator and can develop really high speed swimming. During fast swimming its dorsal fin is folded and hid in special groove in fish’s back. Sail is unfolded while aggression. 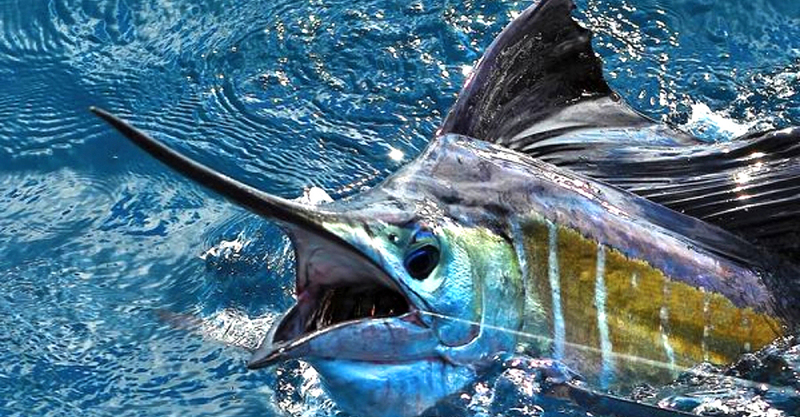 Sailfish’s another special feature is a long upper jaw which makes it look like Marlin. Once caught this fish tries to get rid of the hook by doing high jumps and wiggles. Sailfish’s meat contains almost no fat. Best caught from November till April. These are the most common names of one of the most beautiful and tasty Atlantic fish. Body length of Dorado is from 3.3 to 4.9 feet. Its body is stretched and squeezed by sides. It is covered with small round silver-gold scales. Maximum body length is 6.9 feet and maximum weight is 88 pounds. When fish is pulled out of the water its glowing like a lightbulb and changes its color few times before death from blue to gold. Once Dorado is dead it looses its color fast. Tropical countries have widely developed Dorado catching industry which can be viewed as separate fishing branch. 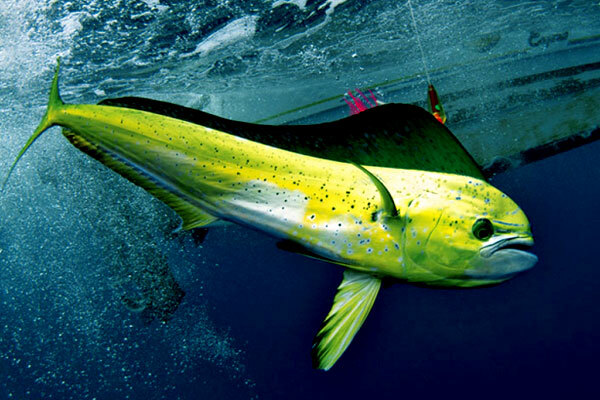 Mahi Mahi usually stays in surface waters of the open sea and rarely goes deep. The most popular way of catching is trolling. 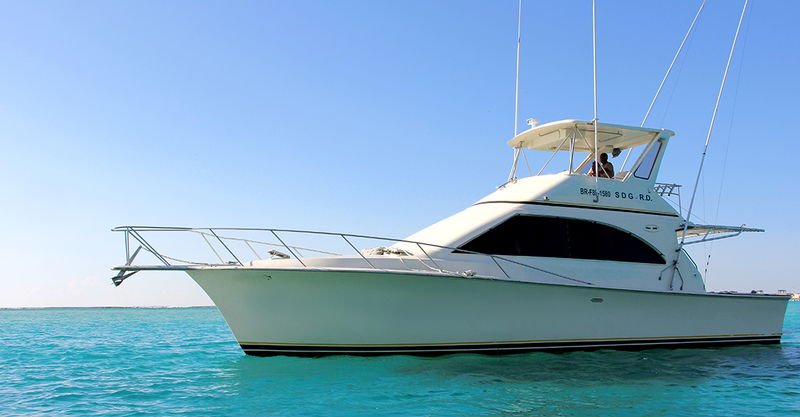 By the Dominican shores Dorado is very well caught all year round. The best is October till April. Inhibits all tropical and temperate latitudes of world oceans including waters by the Dominican shores. Its size gets up to 7.9 feet and weight up to 441 pounds – it’s a Big Fish! 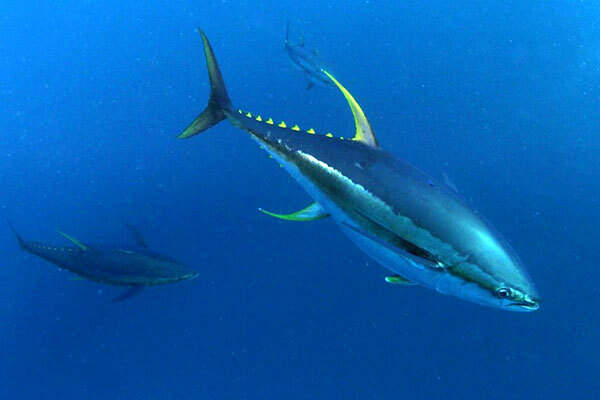 Yellowfin Tuna is an active predator and eats anything what it meets on its way and which corresponds to the size of its standard pray. Tuna likes surface waters and rarely goes deep. This fish is successfully caught by silicone octopuses and wobblers. To catch a tuna by trolling and pulling is very hard, because it fights till the end and tries to go down. Fish’s meat has red color and is delicious. Very often meat of this fish is used for making sushi. Best chance to catch from February till August. 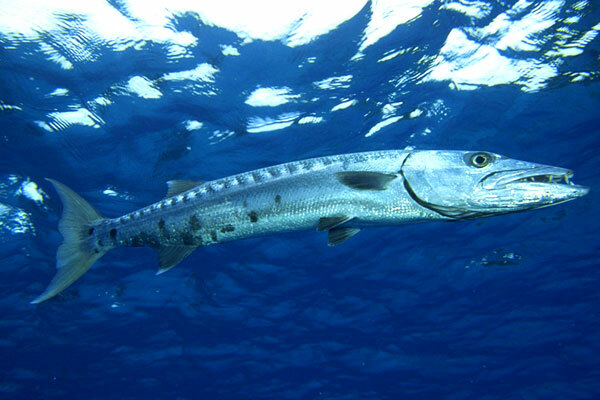 Type of fish from mackerel family, lives in tropical sees on the depth up to 39 feet. Especially often is caught along Atlantic shore of the USA from Florida and up to the north, in Mexican gulf, between DR and Puerto Rico. Wahoo has thing and long body with tiger stripy coloring – light silver scales and blue stripes on sides, which disappear right after fish dies. 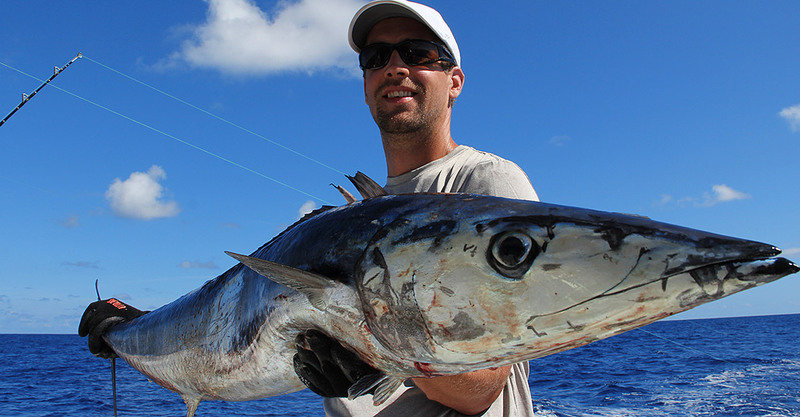 Weight of the biggest ever caught up to now Wahoo is 183 pounds and length – 8.2 feet, although average weight of this fish is about 22-44 pounds. Most often Wahoo is seen quite close to the shore, near reefs and above continental shelf, but sometimes this fish is caught in the open sea. Usually caught with rods and trolls. The bait can be almost anything – mullet, sierra mackerel, stripes of fish meat, calamari, artificial bait. Wahoo is delicious. Best caught from October till April.